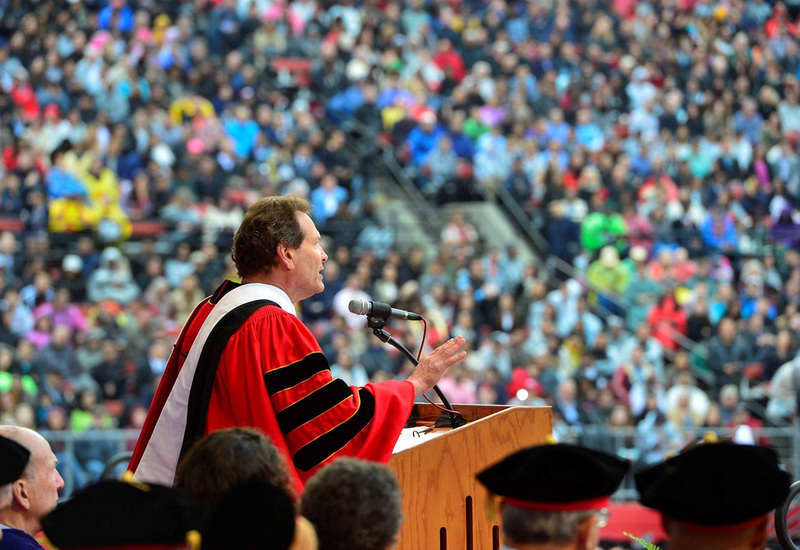 Rutgers Commencement ceremony includes over 12,000 graduates. 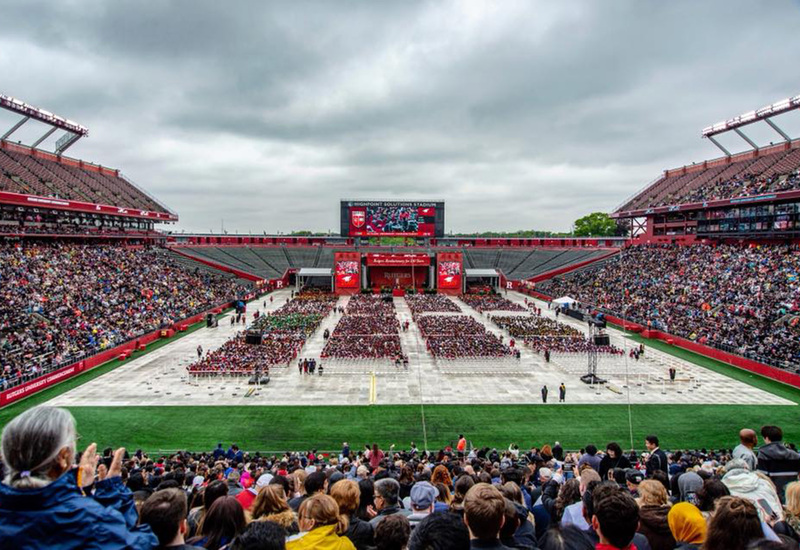 Add a set of parents, siblings, and grandparents, and the audience grows to more than 5x the size of the graduating class. Personalizing a ceremony like that is challenging, let alone trying to get a glimpse of your loved one as they collect their diploma on-stage. 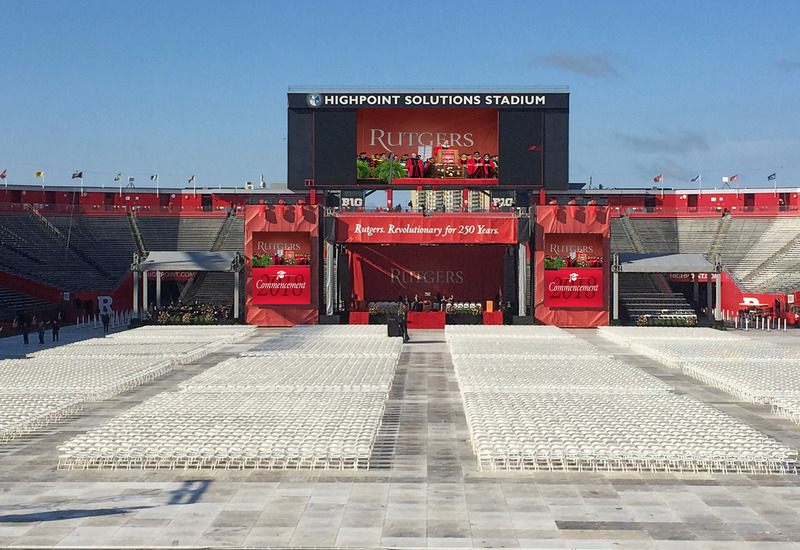 This year, Upstage Video gave Rutgers University graduates their moment to shine with two 19' x 23' screens flanking the stage, comprised of 180 8mm LED tiles.